THE HATE U GIVE Blu-Ray Review: THUG LIFE | Birth.Movies.Death. This is the moment that YA rebellion literature has been preparing us for. The Hate U Give is a film I really wish had received more attention upon its theatrical release. It received very positive reviews, and made enough of a showing at the box office to earn its budget back, but the film is clearly positioned as an awards contender and was never realistically made part of that conversation. And that’s a real shame, because I found the film to be such an important artifact of our time that I consider it one of the best films of 2018, a layered, character-driven narrative that speaks to one of the most important issues affecting our society today while demonstrating the seeds of hope planted in the film’s teenage target audience. The film opens on a family discussion around the dinner table. The family is black. The father (Russell Hornsby) details to a ten-year-old boy and nine-year-old girl the procedure for surviving an encounter with the police. Place your hands on the dashboard. Comply with everything the officer says. Don’t talk back. The mother (Regina Hall) holds a younger child in her lap, uncomfortable with the hard truths being spoken but aware of their necessity. The father then gives the children copies of the Black Panther Ten-Point Program, reminding them that they are to be proud of who they are, regardless of the powers they must cope with in order to survive. Fast-forward seven years, and that nine-year-old has grown into our film’s protagonist, Starr Carter (Amandla Stenberg). She and her brothers attend a Catholic prep school outside of her relatively poor neighborhood, at the behest of their mother who fears the possibility that the gang violence in their community could one day kill them. However, this has a dividing effect in Starr’s life, where she is able to embrace her blackness at home but must put on a mask of white-friendly respectability, even as her white classmates constantly adopt black affectations to appear cool. In order to escape this daily grind, one that includes friends and a boyfriend who don’t know her nearly so well as they think they do, Starr heads to a house party one weekend to unwind, where she encounters her old childhood friend Khalil (Algee Smith). On the drive home from the party, though, Khalil and Starr are pulled over by a police officer, who shoots Khalil on the presumption that Khalil is carrying a weapon. He was holding a hairbrush. As the narrative unfolds, it provides a walking tour of the all-too-common injustice inherent in any police shooting of an unarmed black person, particularly when that person is a teenager. As the sole witness to the shooting, Starr has to decide whether to testify before a grand jury that will determine if criminal charges are appropriate. However, doing so will expose Starr to her school peers and put her in danger from the local gang as the media investigates Khalil’s drug-dealing past, but from an audience vantage point it also exposes the unconscious racial animus that perpetuates the cycle of institutionalized violence against black people. The news media is more interested in presenting Khalil as a criminal and giving a platform to the offending officer’s family than in treating this as a criminal investigation, effectively placing the victim on trial in the court of public opinion. The white students at Starr’s school view protests as a cause for celebration, an excuse to skip class without any regard for the name in which they do so. Starr’s cop uncle (Common) explains the pressures inherent in any traffic stop, rationalizing the encounter but ultimately buckling under an interrogation of whether Khalil would have been treated differently if he were white. Not all of these are purposeful or conscious behaviors, but they perpetuate a system that takes black lives with alarming frequency and with little repercussion against trigger-happy officers who do the shooting. This story is carried by some astounding performances, mostly notably Amandla Stenberg’s, which only serves as further proof that this young actress is going places with the depth of emotional nuance she can convey in a single intense look. Russell Hornsby deserves a ton of credit, though, as Starr’s father, a supportive parent role tinged with world-weary anger who is demonstrably right in his convictions, but not always in his reactions. The rest of the ensemble cast, including Anthony Mackie, Issa Rae, and Lamar Johnson, are superbly directed by George Tillman Jr., who assembles Audrey Wells’ screenplay, nearly operatic in scope, into a digestible and heart-wrenching experience. A running thread through The Hate U Give is the idea of Tupac’s acronym THUG LIFE: “The Hate U Give Little Infants Fucks Everybody.” This is a lesson from the not-so-distant past that predates Starr’s experience but also serves as a testament that things haven’t changed. Hate still persists in the interactions between black communities and the officers who patrol them. 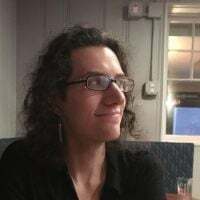 But another thread runs through the film is Starr’s love of Harry Potter, a love she shared with multiple friends who were victims to gun violence. Harry Potter is a story of teenagers banding together to defeat evil with the power of love, and as The Hate U Give’s shockingly literal climax demonstrates, that kind of love is our hope to break the cycle of violence. Those of us who grew up with young adult resistance literature know the value of standing up to oppressive and unjust forces. The Hate U Give is the rallying cry to say that it’s time to take those convictions beyond the realms of entertainment and put those lessons into practice. 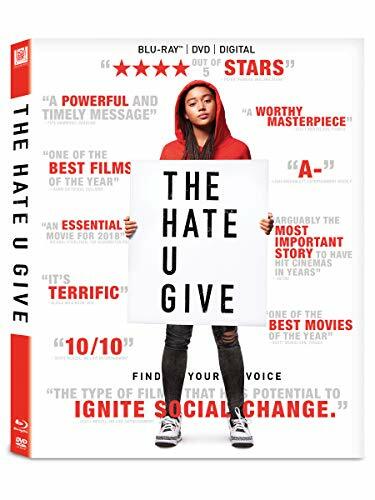 The Hate U Give is available today on Digital and on 4K UHD, Blu-ray, and DVD from Twentieth Century Fox Home Entertainment. But what if DIVERGENT wasn't entirely awful? This coming of age story set against a backdrop of the #BlackLivesMatter movement looks amazing. Because he's a complicated man, and now she's his woman.